Plants not only exhibit extraordinary resilience to death but also show an exuberance of ‘lifefulness’. One only has to have taken a small cutting of, say, a fuchsia plant, to have experienced this. The plant seems to have an enormous propensity to live and grow. Johann Wolfgang von Goethe was particularly interested in a plant known as Kalanchoe pinnata (syn Bryophyllum calycinum). This is a relation of a plant that is much used during Christmas because of its bright red flowers. 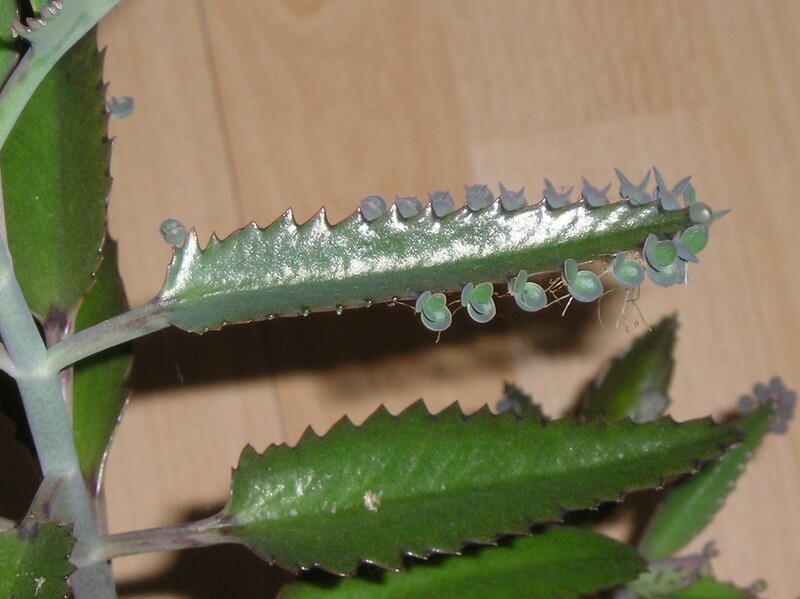 The plant that Goethe admired, and which came to be called the ‘Goethe Plant’ is remarkable because many small, miniature versions of the complete plant develop along the edges of each of its fully grown leaves. 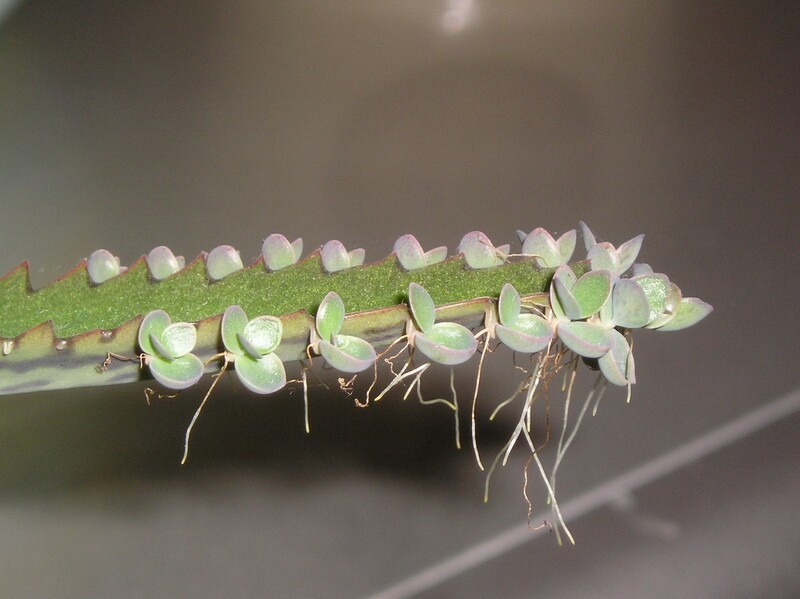 These tiny plantlets gradually increase in size, quite often sending out roots into the air, and drop off the parent leaf onto the surrounding soil where they readily establish themselves, eventually growing to the size of the parent plant. Goethe first got to know the plant in 1818 and kept busy with the plant until his death, as posthumous manuscripts show. In a letter to Marianne von Willemer, who lived in Frankfurt on Main, Goethe wrote the following poem in 1826 and included a leaf of a Bryophyllum. is to grow joyfully on the Main. see how it strikes roots! is what makes them wholesome. “In a few days you will be receiving a small package which will impose the pleasant duty upon you of engaging in the cultivation of plants. 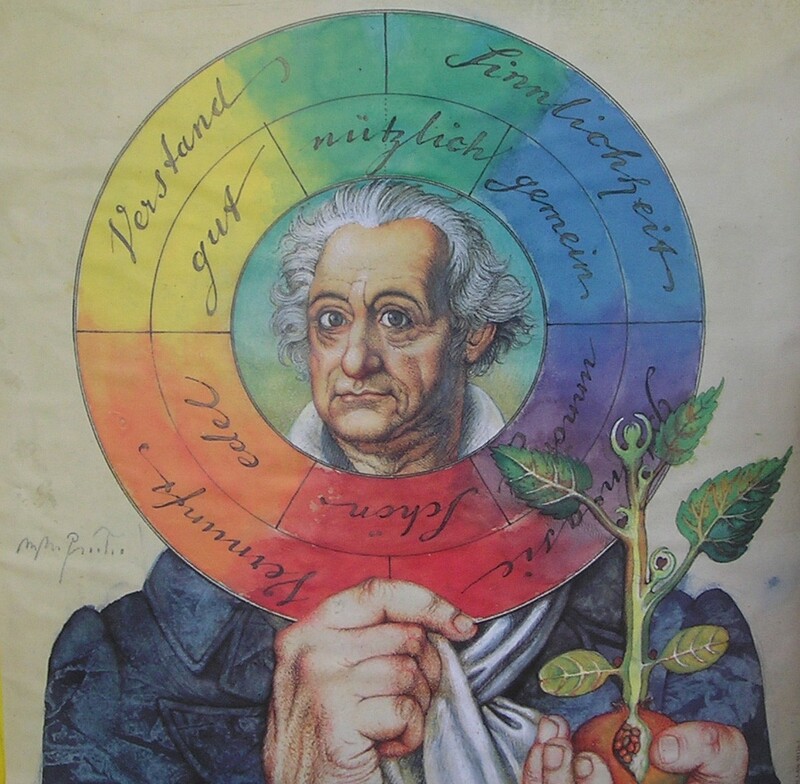 During a visit to Italy, Goethe was struck by the difference between the plants he observed there and those he was familiar with in his home town of Weimar, even though he knew them to be the same variety. He was aware of the effect of differing climatic conditions, but still questioned how he could recognize these plants as being the same, even though they looked so different. This questioning attitude later extended to asking ‘How do I know any plant is a plant? This is a very challenging observation when the huge variety of size and form of plants is considered (from the one thousand meter high Wellingtonia tree to the tiniest creeping alpine plant, for example). As a consequence of his investigations into plants he eventually declared ‘A plant is all Leaf’. What he was saying was that, unlike our usual thinking (and how we are generally taught) where a plant is considered to consist of a collection of parts — roots, leaves, stem, petals, stamens etc, it should be regarded as one organ (which he called a ‘leaf’) that constantly changes form. The organ that is given the name ‘petal’, for example, is simply a leaf that has changed form i.e. it is a metamorphosed leaf; conversely a leaf is a metamorphosed petal. His whole deliberations were published in a small, ground-breaking, publication entitled ‘The Metamorphosis of Plants’. Goethe did not coin the word ‘metamorphosis’, since it had been used previously, but he is credited for doing so, because of his popularisation of the word in his studies of plants and animals. 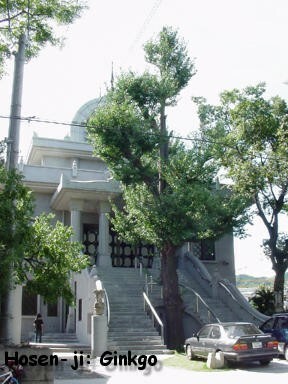 Now, making the assertion that a plant is ‘all leaf’ may seem of relatively little lasting consequence, but in order to perceive a plant in this way, one is forced to somehow ‘get inside’ the plant, to participate in its growth and development, and not become a mere spectator, viewing the plant as an outsider. This means we, the perceiver, must change, and the perceived object has, in effect, the power to change us. This, then, is a fundamental change. Further, Goethe claimed that by practising this way of seeing, we develop new organs of perception; organs that otherwise would remain dormant within us. It was Goethe’s assertion that we are born with organs that perceive the material world around us, but other, latent, organs can be developed; but it requires a conscious effort on our behalf for this to happen. Rudolf Steiner, at a later date, went on to describe exercises that anyone can do to develop organs capable of perceiving what he referred to as the ‘super-sensible’ world, the non-material world. It was Goethe’s contention that to truly get to know a phenomenon, we must bring into use all our faculties, meaning intuition and imagination, as well as our intellectual, rational, mind.